Internet Explorer, the long time de facto browser on the desktop, has been upended by Google’s Chrome in the latest report from NetMarketShare. Reporting for the end of April 2016, Google Chrome had a 41.66% share of desktop browser users while Internet Explorer had 41.35%. Yes it is a small different but looking at the longer history of how Chrome has made gains while IE has declined, this difference in percentage will only grow over the course of the next year. At one point, Chrome trailed IE by some 26.77% just last June. experience based on IE. 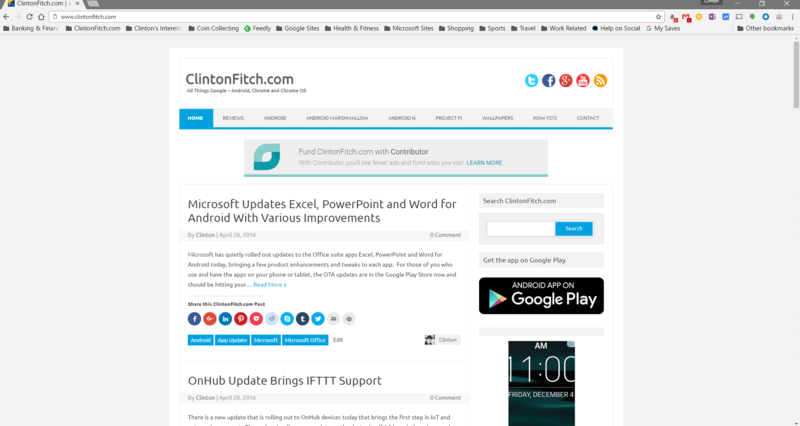 Edge is good, really good actually, and while Microsoft has said it is the browser of their future, the adoption rate has been slow as many Windows 10 owners just use the desktop version of IE. Microsoft also didn’t help themselves when they announced that security patches wouldn’t be offered on older versions of IE including IE 10. That likely forced some users to look at alternatives and Chrome was the answer. Other browsers in the NetMarketShare report are a far distances behind IE and Chrome. Firefox was in 3rd place with 9.76% of the market while Apple’s Safari was forth at just 4.91%. All-in-all, Internet Explorer and Google Chrome make up 83.01% of the desktop browser market and are the two standards people use clearly. Which browser do you use? I for one am Chrome all the way: Desktop and mobile devices. Leave a comment below and let me know which one you use – and why it is your favorite.